It&apos;s long been an accepted part of the Michael Jordan story that the G.O.A.T. was cut from his high school team in Wilmington, North Carolina. But was that really the case? 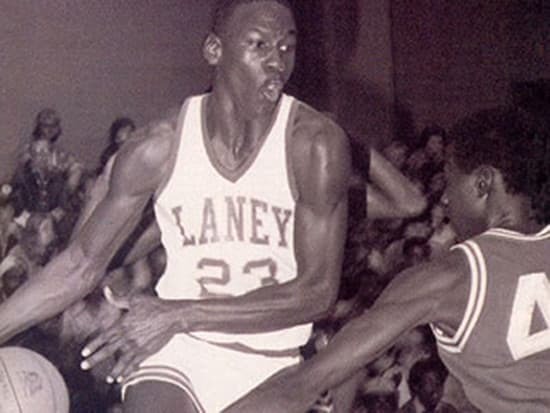 Sports Illustrated&apos;s Thomas Lake traveled to Wilmington this past summer to piece together the story of Clifton "Pop" Herring, the coach who put Jordan on the Laney High jayvee squad—not the varsity—as a sophomore, fueling His Airness&apos;s quest to be the greatest of all time. Herring&apos;s life since he coached Jordan, plagued by mental illness and the title of "The Coach Who Cut Michael Jordan" is the subject of a fascinating and sad tale.